MySQL tutorial provides complete knowledge from basic and advanced level concepts of MySQL. Our MySQL tutorial is designed for beginners and professionals. MySQL one of the most popular open source database management system that allows you to manage relational database. 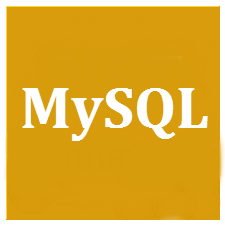 Since MySQL open source, you can use MySSQL free and if you want, you can modify its source code as per your need. This MySQL tutorials gives you complete knowledge from basic to advanced level which includes all topics of MySQL database such as insert record, update record, delete record, select record, create table, drop table etc. There are also given MySQL interview questions to help you better understand the MySQL database. If you are beginner to the MySQL, it is recomand that read tutorial from start that covers MySQL basics and gradually move forward, by learning a little bit every day. These tutorial are designed for beginners and professionals who want to learn MySQL step-by-step and to become an expert. The MySQL reference section will give you detailed information about MySQL query technique, database access,CRUD, database management etc.